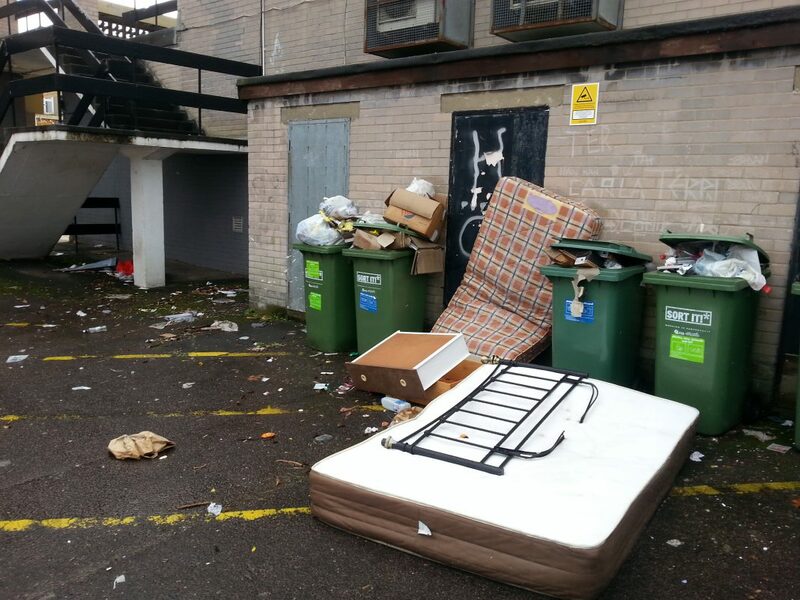 South Gloucestershire Council has successfully prosecuted a land owner who was ordered to pay a total of £6,120 in fines and costs following ongoing waste offences in Staple Hill, South Gloucestershire. Ballymoney Hill Estates Ltd, of County Down, Northern Ireland, were prosecuted at Bristol Magistrates Court on Wednesday 16 January for failure to comply with a Community Protection Notice (CPN) relating to land under their ownership situated behind The Square at Staple Hill. The court heard that problems with accumulations of rubbish on the land had persisted for many years, and that the Council had tried to work with the landowner and agent to secure cleaning of this area, but after exhaustive attempts no progress was made. A CPN was served by the Council in June 2018 requiring the landowner to remove the accumulations of rubbish and put in place a regular cleansing regime. However, the Notice was not complied with, and no company representative attended the Council’s request to attend a voluntary interview. Ballymoney Hill Estates Ltd failed to appear in court, so were found guilty in their absence. They were fined £5,000, ordered to pay the Council’s costs of £950 along with a victim surcharge of £170 making a combined total of £6,120. Cabinet Member for Communities & Tourism Cllr Paul Hughes said: “Ensuring residents are proud of their streets and the area they live in is one of the Council’s top priorities, and we take our responsibility to respond to those who don’t think about the impact they have on their neighbours very seriously.